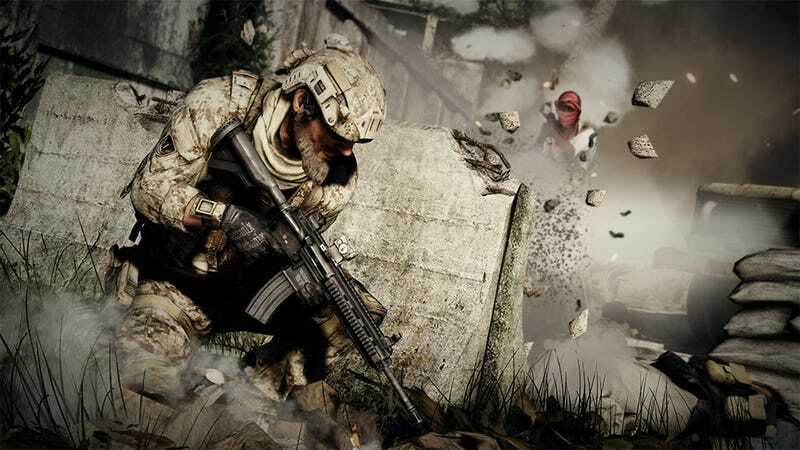 There'll be a day-one patch available for EA's Medal of Honor: Warfighter (it's out later today), and as the publisher advises, you'd do well to actually download it before trying to play the game. Otherwise you'll run into an epic list of glitches and broken features. Note that these are for a game that has passed certification on both consoles as being in a state fit to publish. You'd think things like not being able to join a party while in a game would stop that from happening. So did Giant Bomb's Jeff Gerstmann, who said on Twitter: "Makes you wonder what it'd take for a game to actually fail cert these days..." To which Manveer Heir, a developer at BioWare, responded on his personal Twitter account: "Microsoft & Sony will give you a waiver if you promise to have the Day 0 patch, ask nicely, are a big game, and pay a little." We don't know if that happened here, but there you go. While the list is long, my favourite of the lot is probably "Players can no longer join an invitation only party without being invited." If you've got a cup of tea on the brew and fifteen minutes to spare, you can read the whole thing below.